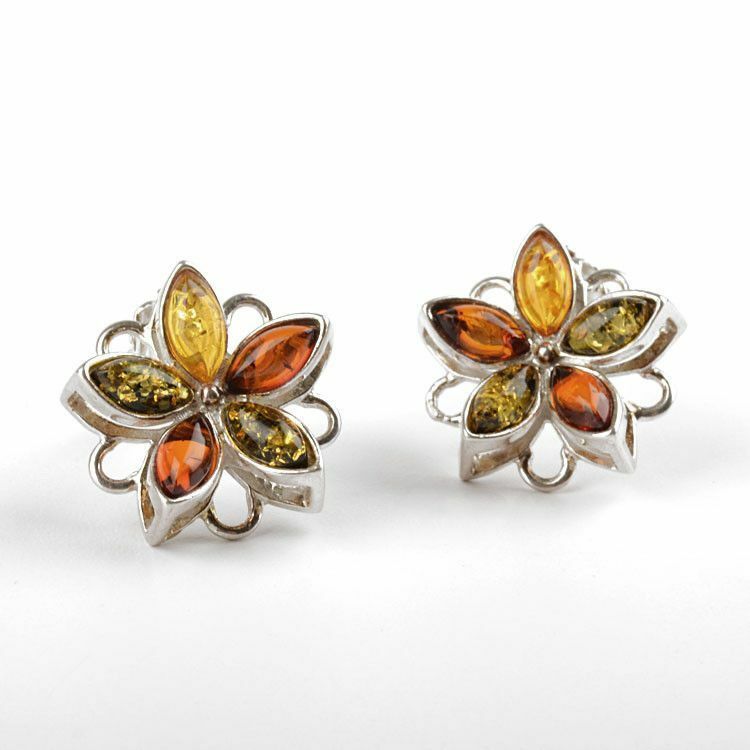 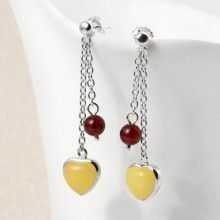 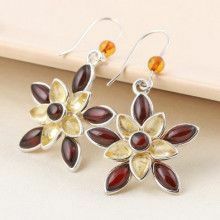 These colorful earrings each feature five petal-shaped amber stones, set high in sterling silver, to make up one beautiful flower. 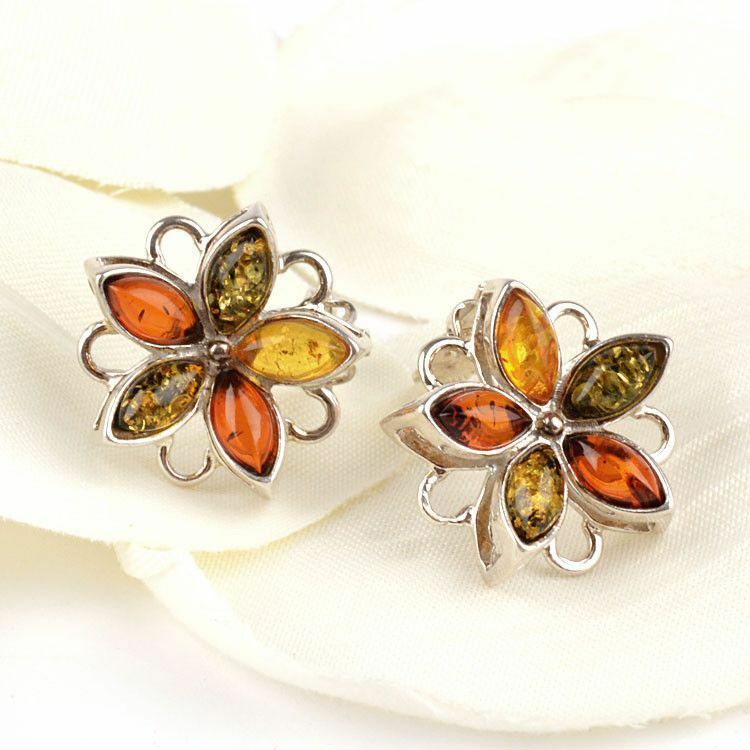 Authentic Baltic honey amber, green amber, and citrine amber look lovely together on this floral piece of jewelry. 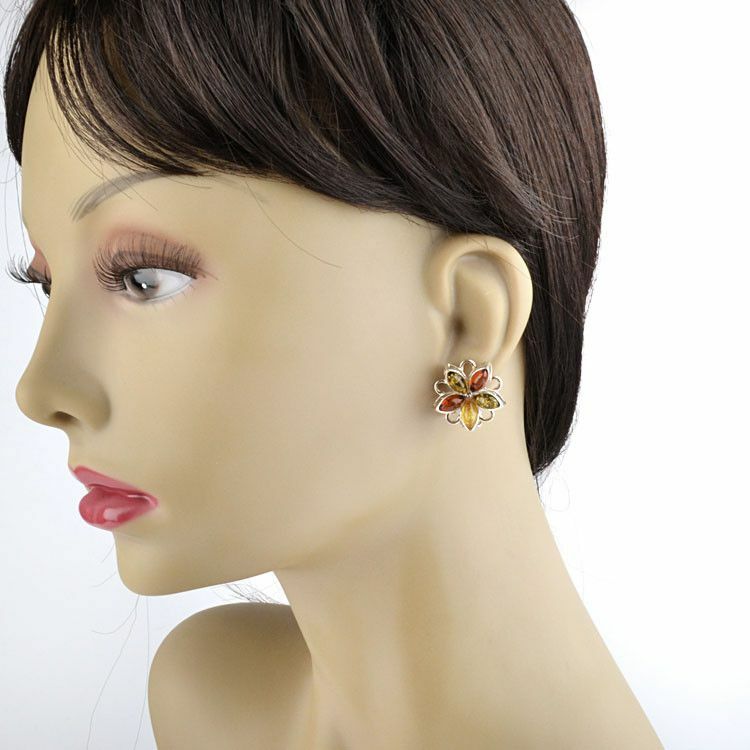 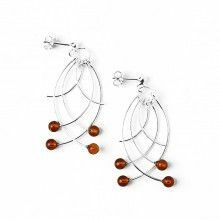 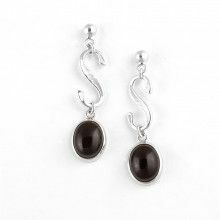 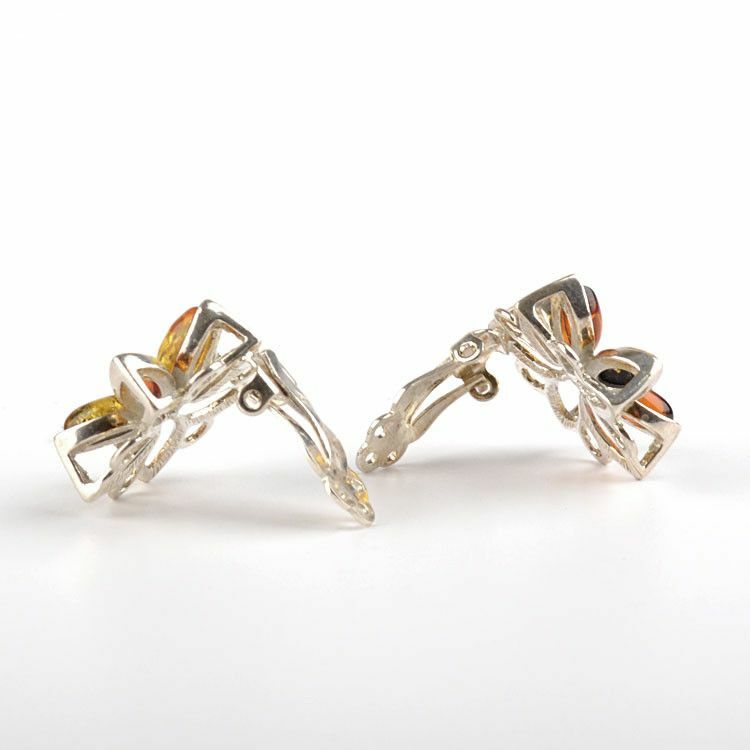 These clip earrings were crafted in Russia with a timeless design and would be a wonderful gift for any lady.